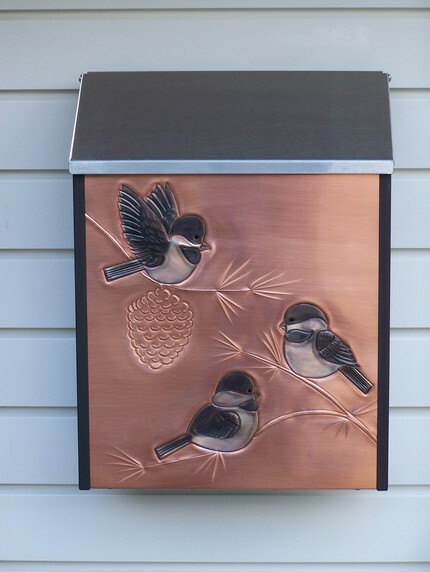 These mailboxes are NOT available at this time . 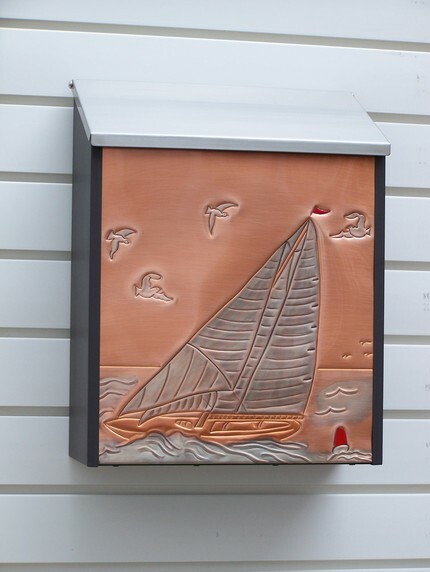 Art for your curbside ! 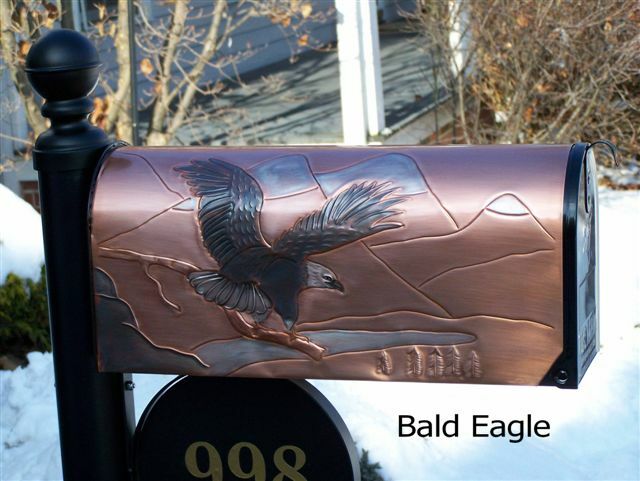 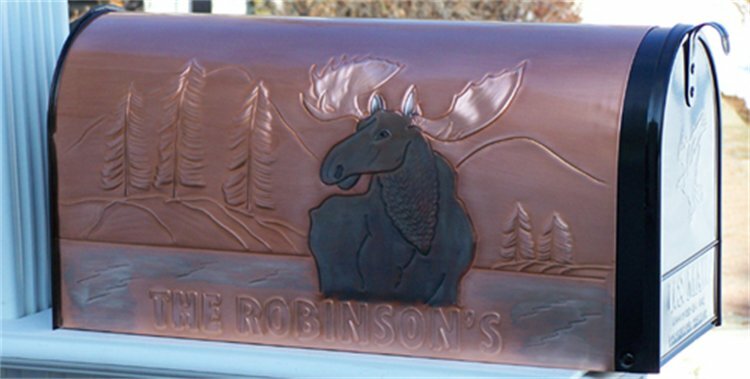 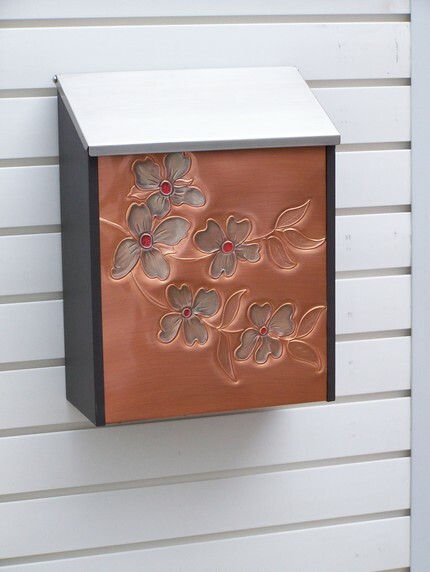 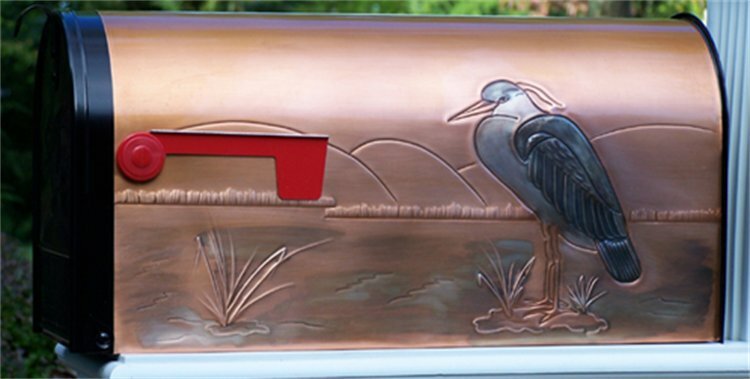 These beautifully crafted decorative custom regulation sized mailboxes are wrapped with hand etched and embossed copper. 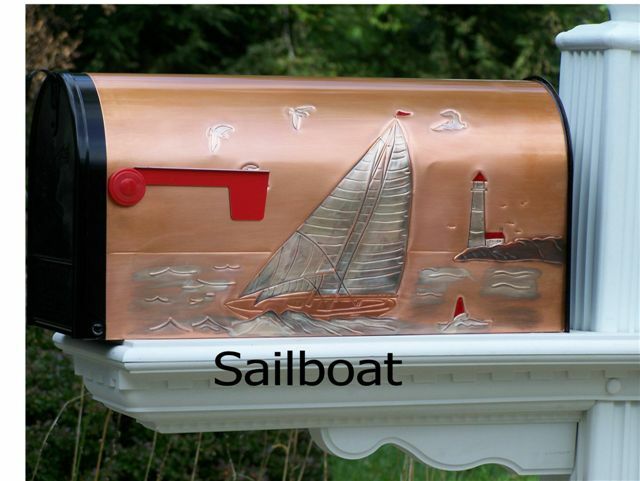 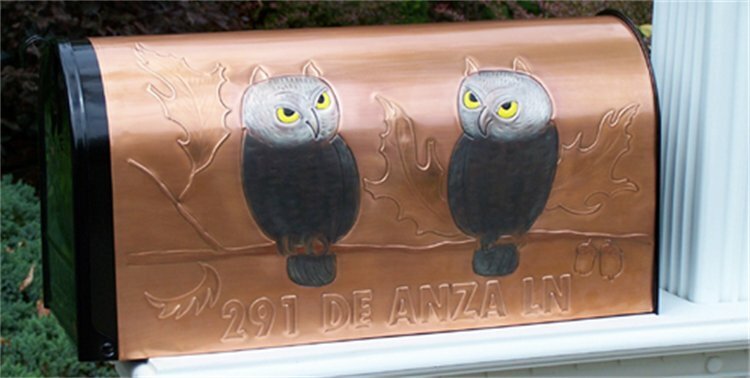 The mailbox is constructed of steel, painted black and covered with a sheet of copper. 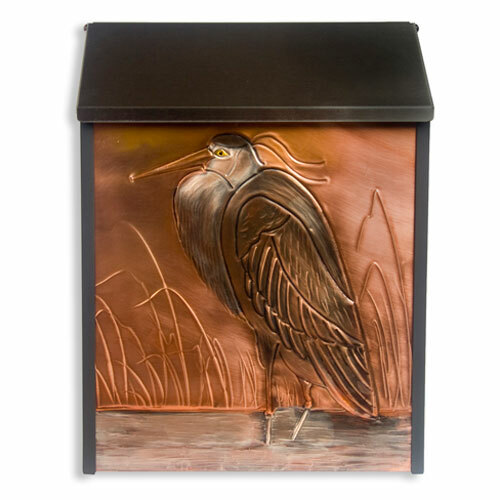 The antique copper finish is hand colored then coated with lacquer and will weather naturally. 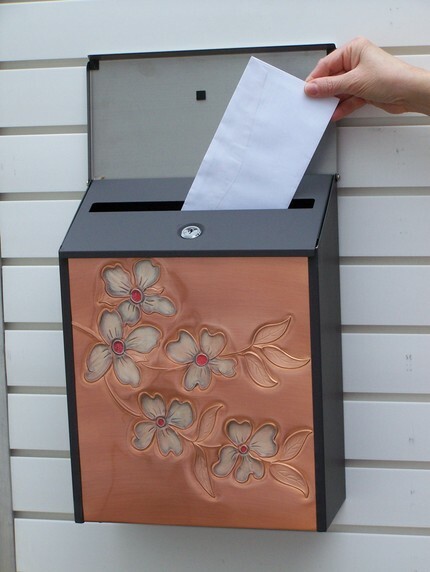 The designs are embossed on both sides. 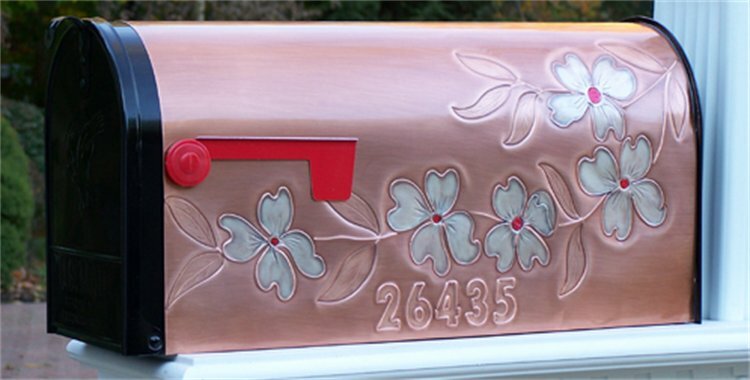 Approved by the United States Postal Service.